What could be better than updating your home? Picking out granite, installing hardwood floors, creating an open floor plan, building an addition— all of these changes can turn your home into a dream. They can also increase the value of your home, which is an added bonus. But did you know that home renovations and home additions can have an effect on your homeowners insurance? The age and location of your home, construction materials, and even its distance from a fire hydrant can impact your insurance. But the most prevalent factor is your home’s value, which means changes in your home require adjustments in coverage. So exactly how can a home renovation affect your homeowners insurance? Making changes to your home can lend to homeowner liabilities and accidents, either to your house or to the people within it. A renovation can, therefore, require additional liability insurance during the process, especially if you are attempting any renovations yourself. This covers any accidents that could take place on your property or injuries that are obtained by anyone helping with the renovation. If you hire a professional renovation contractor, make sure that your contractor carries liability insurance. Without coverage, any accidents that occur on your property can become your problem as the homeowner. Many home renovations or additions require a reassessment of your current insurance policy. Changes in size and quality of your home should result in a call to your insurance company. Be open and honest to ensure the entirety of your property is covered. Pool— A pool will increase the value of your home, but it also increases your risk for liability. So the minute you decide to invest in this fun-loving upgrade, contact your insurance company. Both of these factors will require an adjustment in your policy. Roof— A new roof provides the best form of exterior home protection, and home insurance companies love them. Roofs are a home renovation item that can lower your insurance. Impact resistant (IR) roofs can especially have a positive effect on your insurance in hail-prone areas. If you install an IR roof, contact your insurance company to see what adjustments it may cause. Addition— Square footage is one of the biggest factors affecting your homeowners insurance. The assessment of your home’s square footage plays a direct role in the amount of insurance you need. Home additions increase the value of your home by directly increasing square footage, requiring increased coverage. Upgrades— Giving your home a facelift increases its value, and a more valuable home requires more homeowners insurance to cover its full cost in the event of a disaster. 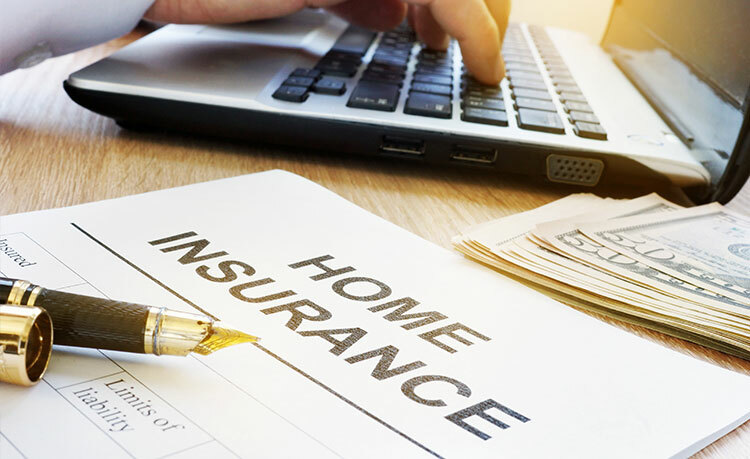 If the purchase assessment of your home was given with vinyl floors and laminate counters and your home now possesses marble counters and solid wood floors, the change in value will need an insurance adjustment. Give your insurance a call for a reevaluation of the property. Electric and Plumbing— Many East Coast homes are older. Pittsburgh homes are no exception, which means that plumbing and electric likely need to be upgraded. And upgrading these features can positively affect your homeowners insurance. In fact, plumbing and electric issues result in a large number of insurance claims for U.S. homeowners. Bringing in new materials and getting what’s behind your walls up to code will decrease your insurance costs. As a rule of thumb, remember that any renovations that increase the value of your home will require additional homeowners insurance. Here are 5 additional renovations that add value to your home. On the opposite side, renovations that make your home a safer place to live will likely decrease insurance costs. If you are ready to give your home an update, our team can help. We specialize in major home renovations and home additions. We work hard to assess your home and give you an accurate account of the changes that will need to be made and their costs. We carry liability insurance, so potential accidents will never become your problem. To better understand how your new home renovation will affect your liabilities, schedule a free consultation with the Action Builders’ team by calling (412) 835-3545.